I went through approximately 3/5 of the day thinking it was Monday. Every time I stopped and remembered it wasn’t only NOT Monday, but Terrific Tuesday instead, I got excited all over again! Tuesday or otherwise, today has been a good one – certainly a lot better than last Tuesday. It’s funny though, because looking back on the day as a whole, I’m finding that a lot of what made everything so great was all the yummy food over here! I eat oatmeal about 5 mornings a week. It’s quick, easy, and healthy. It’s also a meal I can truly say keeps me full for hours. I try to come up with fun ways to jazz it up, though, so I don’t get stuck in a rut. 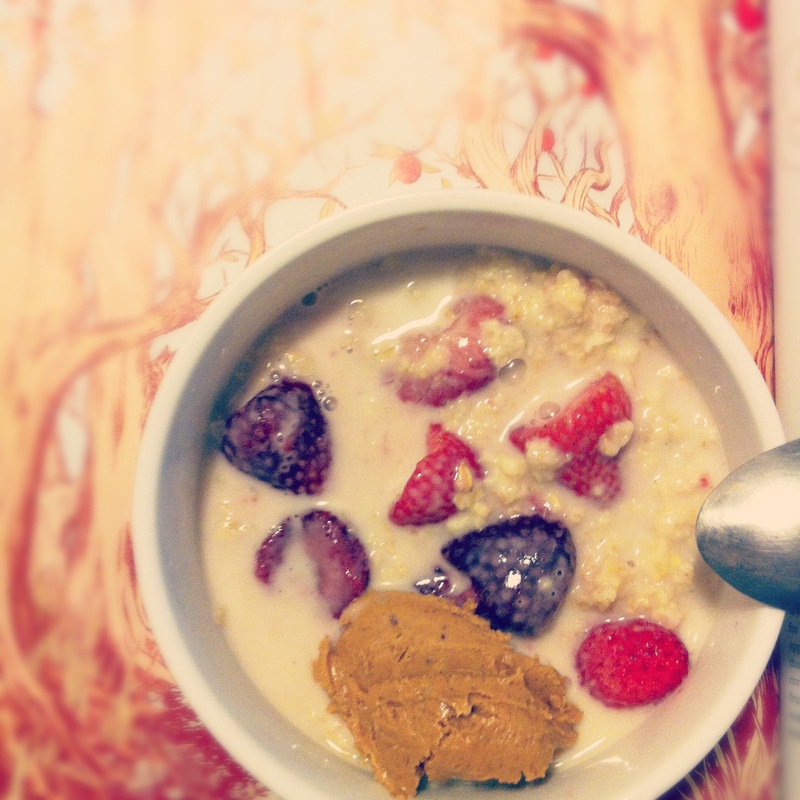 This morning’s additions included strawberries, toffee peanut butter, vanilla, cinnamon, and a splash of almond milk. Soooo good. Also, I have to thank the latest edition of Real Simple for dressing up the photo. 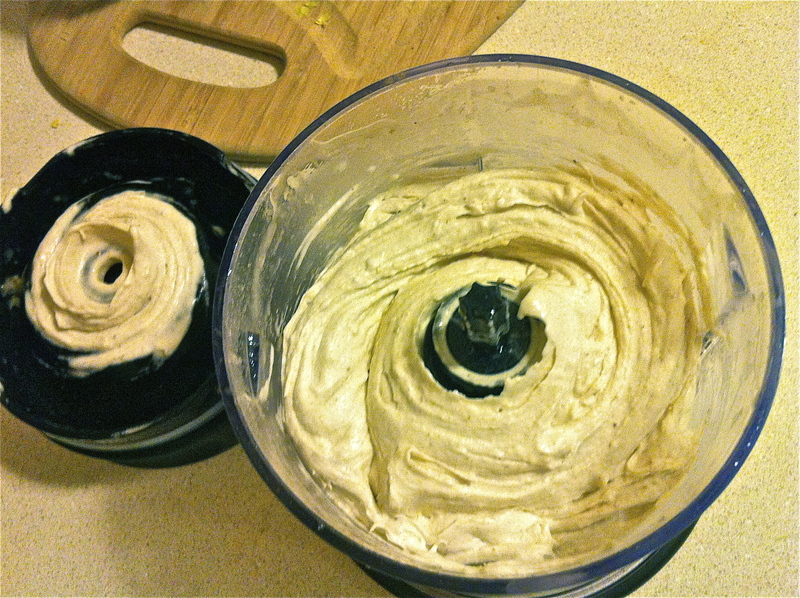 If you haven’t heard about the way to make quick and easy banana soft serve at home, do it. Now. I’ll wait while you click over there. I was super skeptical about this recipe, because 1) while my food processor is pretty good, it’s certainly not top of the line, and 2) it seemed too good to be true! After making it a few times, I’m happy to report that it s every bit as good as its reputation. My recommendation if you’d like to try this at home is to add a bit of cinnamon and nutmeg for additional flavor and depth. Mmmmm. Remember this post? The one where I bragged and felt guilty about doing it but had to anyway? Yeahhh. I made that for lunch today. That’s enough to turn any day into a terrific one. 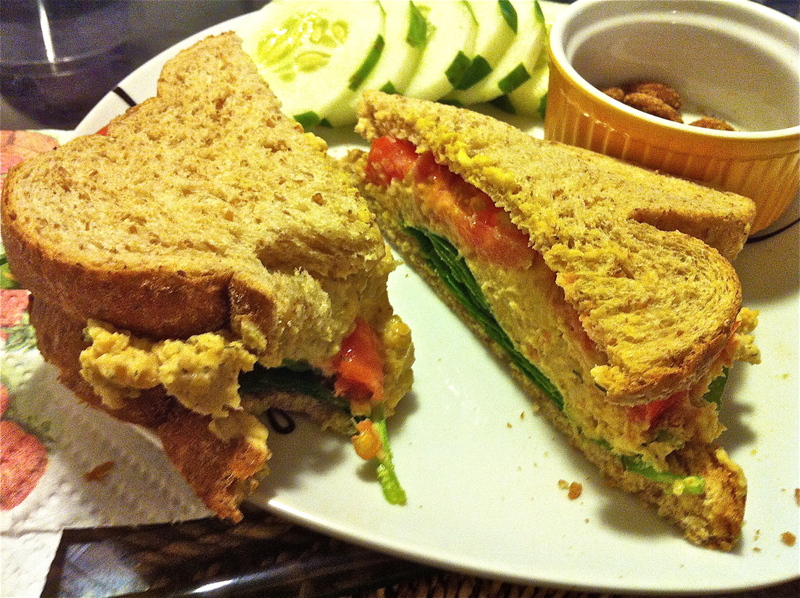 My favorite part was FH pushing his plate away and talking about how full he was…from a vegetarian sandwich. It’s almost an oxymoron. It’s definitely awesome. …I am a bad blogger and didn’t take a picture of this. Just imagine the most delectable piece of carrot cake ever, okay? Alright! After work today, FH and I were itching to get out of the apartment (we both have flexible schedules, allowing us to work from home some days). We trekked out to a new favorite spot: a local book store called Schuler’s. There are so many reasons to love Schuler’s: local business featuring local authors, a huge selection of used and new books, and a cozy cafe filled with flavorful teas and delectable treats. The carrot cake on display today looked way too good to pass up, and I’m so glad we didn’t. FH and I sat across from each other and went back and forth on that dessert like we were Serena Williams and Maria Sharapova at the Olympic tennis finals. Luckily, the cake was so delicious, I think we both won! With that, folks, I hope you all have a terrific Tuesday yourselves. I’m off to battle one more food challenge for the day: dinner. Looking over my eats for the day, I think it’s going to be a tough act to follow!